With chandeliers, wide curving stairways and one of the largest stages in the country, the Dorothy Chandler Pavilion has proven itself as an important part of Los Angeles history. Its rich décor intrigued The Academy of Motion Picture Arts and Sciences, and provided the perfect setting for the Academy Awards 24 times during the 20th century. 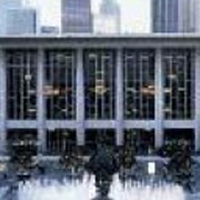 The Dorothy Chandler Pavilion's Resident Company, the Los Angeles Opera, is the United States' fourth largest opera company and promises outstanding singing, great conducting, and stunning productions.